Shine; a simple word with a much deeper inner meaning than the word itself can ever possibly reflect, this is because the word shine to human consciousness is but created therefore perceived. As light and love is a perceived reflection of a far more aware consciousness, what the word shine depicts humanly is but a fragment of it's truer deeper inner meaning. 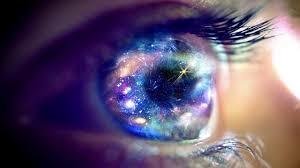 Inward Perceptions: Human consciousness is unable to become aware beyond of what it is able to perceive, anything beyond these created perceptions can't be perceived by the human consciousness. If there is no comprehension or will of comprehension, how is then one to perceive, in this case beyond what the word shine actually means inwardly. Outwardly, the word shine means to glow or shine as light. The perception of light gives us an outwardly reflection of shining, this is by no way an inwardly reflection. We perceive light as in opposition or opposing dark. Light means to be aware, like turning on a light in a dark room where's darkness means to be unaware, like turning off the light to a light room. The perception of light and dark, negative and positive, good and bad, are but of outwardly perceptions because they are created and of the outer world or self. It's like the Earth turning around the sun in orbit to the sun; this gives us a created perception of night and day, light and dark. We are simply conditioned to light and dark, positive and negative. It's handy to look at it this way, all outwardly perceptions are created as all inwardly perceptions are creators, one is of the finite, the other of the infinite. When we are only able to perceive the differences between light and dark, this is an outwardly reflection, it's created through the perception of separation. Once you separate energy into different parts, it becomes of the outer world, a created world from the inner world. Outwardly, light and dark, negative and positive, are different because they are separate to each other, this is simply not the case inwardly as everything becomes one. The World Stage: Recently, we had state elections, the party that was more efficient with their scare campaigning won the day. We were literally threatened that if we voted a certain party in, in our electorate, we would be held accountable. Because people today are conditioned to fear, they not just abided by this but accepted being threatened. On the world stage, the UN, backed by US force and control, is doing the exact same thing, holding the world to ransom. You will be black listed, and no doubt aggressively dealt with, if you don't recognise Jerusalem as Israel's new capital. If today's perception of love and light is so powerful, why are we not just living more in fear but accepting being in fear more than ever? How many different perceptions of light and love are there? How many different manifestations of numerous perceptions are present at present in the world? What perceived manifestation will win out against all other counteractive manifestations and perceptions? So why isn't today's love and light working? It's all to do with perceived separation and denial and deliberate ignorance of anything remotely judged as negative/dark. In actuality, anything based on separation will always be a part of what it detests the most, a never ending cycle of separation and counteractive motions. Acceptance: Firstly, the impotence of acceptance is to realise one doesn't have to become of what one accepts. If I accept this reality as being of a cycle of separation therefore conflict, this doesn't mean I accept this as being who I am or what I am as a whole, it simply means that I accept these cycles of separation as simply being cycles of separation. Cycles of separation are simply to do with the outer world, our outer selves, accept this as being a part of who you are while at the same time being aware of your inner world or self. Shine: To shine is to be at one with everything void of separative perceptions, not the obvious separation from a perceived dark/negative. Imagine for a moment being in a reality or state of consciousness void of the necessity of positive perceptions, there is no negativity therefore no positivity. We would of course perceive this state would only be of light. The trick with light, in relation with awareness, is that the light is also of the dark, how aware are we if we are only aware or desire to be aware of the light? One must be aware of the whole to be truly of the light, to be truly aware of the whole as one, not of separated energies counteracting each other. I actually perceive a true oneness state as shining, of course we perceive shining as referring to light void of darkness, this simply isn't the case. We are conditioned to separation so shining has to be opposite and separate to dark. Shining is simply the acceptance of everything for what it is, be it of the inner or outer world/self. Yes, we could judge that the outer world is an illusion; this simply gives us a false denial of what we are as a whole, it's also of separation of everything we desire not to be a part of. I've done this a few times in my life, I shone, even when shining isn't of this kind of separative reality. People couldn't help but stare at me because it's simply not of this kind of reality. To truly shine, one must truly be accepting of all void of being only of what one desires to accept, in saying this, I don't often do this myself as I accept this reality for what it is and myself being a part of this kind of separative reality. The last thing human consciousness wants or desires to be come aware of is how it actually is, especially if the ideology we are using limits us to certain perspectives and perceptions. This is certainly the case if these perspectives and perceptions make us feel good, in actuality, anything that threatens our limited perspectives and perceptions is usually denounced or critically judged as being negative and even toxic. Not sure where oneness fits within this kind of critical separative perception though!! Until now, human consciousness has been about telling it how it's not, in-effect creating a reality based on deception, including self-deception. Any new constructive conscious change will entail a consciousness to tell it how it is, this will no doubt entail a consciousness to be honest with itself while sacrificing it's present desires. All changes take one to close doors so other doors may open. We might ask ourselves, why is dishonesty worsening thus creating more conflict? For any mind to become aware, especially a mind conditioned to 3rd dimensional aspects and spheres, the mind needs to become aware of one to become aware of the other. It's very much inline with closing doors so other doors may open, how can you close a door to something you are not truly aware of? If you are not truly aware of a door and what is behind the door, how can you truly close it? You need to acknowledge the door to be able to understand what is behind the door to know when to close it. Yes, human consciousness collectively is obviously still unable to close the door to deception to open another door to openness and honesty; it's simply not ready to do this on a collective scale. We might now say that many spiritually aware people are aware of the door to deception and closeness, we now need to consciously move on, evolve. 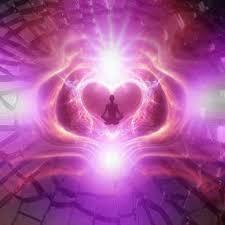 Within the very present, we are trying to build a reality based on love and light, light simply denotes awareness. Can one truly love and be aware void of acceptances and balance? Considering that a true sense of love can't exist without harmony, which is created from acceptance and balance (moderation), how is creating a reality of love and light void of acceptance and balance true. For starters, how many western minded spiritually aware people accept this reality the way it is? Acceptance doesn't mean you become apart of what you are accepting, it simply means having an understanding of what you have a comprehension of. Yes, many spiritually aware people comprehend our present reality, but do they truly understand what they have comprehension of? Being that our present reality is based on deception, not many people truly comprehend our present reality, even fewer people understand our reality and even fewer people still accept this kind of reality for what it truly is. How can you close a door you have no comprehension of therefore any comprehension of when to close the door? Very few of us even comprehend that we are in a reality we can close the door to. The door simply doesn't exist to these people but it exists to a lot of spiritually aware people, however, how many spiritually aware people truly understand the reality behind this kind of door? Considering that many spiritually aware people are trying to create a reality of love and light void of true acceptance, balance and harmony, how truly aware are these people to their present reality? They want to close a door on a reality they have no acceptance or clear understanding of to start with, yes, comprehension but no true understanding in my mind. Consciousness works in this way, it needs to truly comprehend and understand one kind of consciousness to open a door to another consciousness, in actuality, you can't open a door to another consciousness unless a consciousness truly understands its present consciousness. Comprehending this kind of reality is very different to truly understand this kind of reality, in actuality, any kind of reality. Comprehension is not understanding, compression is simply being aware of something you may or may not understand, especially truly understand. I may comprehend the existence of children, do I understand all these children? Yes, many of us comprehend the destructive traits of a reality based on deception, but how many of us comprehend and also understand that consciousness is of a cycle of processes. Experiencing a destructive reality is but one of these processes. In truth, this kind of reality is but a very small part of the whole process, a process of experiencing everything we comprehend spiritually through a process. Consciousness is simply of a cycles of processes, being that the cycles of consciousness are of certain processes. What the western mind is presently doing, is discarding certain processes thus trying to break the cycle of evolution. The western mind desires to be of one void of the other. Being truthful about this kind of reality, which means being open with what is going on within this kind of reality, is the best thing we can do. Discarding anything as simply being negative is the worse thing we can do in my mind, we are simply being ignorant to everything we don't desire therefore deceptive to ourselves and everybody else. Yes, it feels awful being this honest with ourselves at first. One of the best ways of overcoming these feeling is to desist in looking at everything as simply negative or positive, it simply is what it is, a part of a cycle of processes. Being whole doesn't just mean comprehending what we are as a whole, it also means experiencing (understanding) what we are as a whole. The observer comprehends the experiences of the experiencer where's the experiencer understands what the observer comprehends. The observer and the experiencer (participator) makes up the whole, in-effect, the so-called higher and lower self make up the whole. The higher self, the observer, is not whole void of the participator, the so-called lower self, it takes the whole to be whole, not what we desire to be the whole. Imagine interacting with another person in away that your body and mind breaks down into various flashes of light, like sparkles of energy intertwining and interacting with each other. Each sparkle being apart of you shooting off in all directions within someone else's energy field, sounds ridiculous until you personally experience such a thing, also, energy void of form in any sense is pure energy. It's difficult for human consciousness to perceive ourselves as pure energy without deducing that energy has to be of a form of some kind. Even the perception of being light refers to a form like energy field. Human consciousness is simply unable to comprehend anything beyond some kind of form, however, this is normal and should be accepted as being normal for human consciousness. All impure or unaware consciousnesses have limitations, this is quite natural and normal and of the whole and not separate to the whole. Consider this though, can pure energy, void of impure energy fields, be able to experience interaction with another being as various flashes of light? If everything was pure energy, this pure energy would be limited to it's own existence. Considering that consciousness as a whole is not limited, in actuality it's infinite in nature, it's unlikely that we would ever be of pure energy, however, this doesn't mean we can't become aware of our pure energy state. This also means we can experience being various flashes of light, of separate energy fields. My recent experience of flashes of interacting light with another energy field was induced by a very special person, a person who is able to perceive way beyond my own comprehension and understanding. The enjoyment to be able to do this with a person like me was special for both of us. When someone like me makes reference to impure energy, in other words a consciousness that is limited to certain aspects and fields, this is not a put down. The problem here is, we are conditioned to a higher stature or a higher consciousness being better or more worthy than a lower stature or consciousness. Everything is based on levels, of course the higher the levels are always more desired than lower levels. This limited perception is very human, of a consciousness that is obviously limited to certain aspectual fields. Consider this, is not a pure aware state not limited to being purely aware of just pure awareness? Actually no, the reason for this lays in that a truly aware state is also aware of it's own unaware states, it's aware of the whole self, not just the parts of the self it desires to be. As each flash or sparkle of light was separate to each other within my experience with another person, it was also whole. For human consciousness to be able to comprehend anything, it has to break it down into separate parts. When you pull a car, an automobile apart, what we have done is simply pull apart something that was whole to once again make it whole again. Even if we pull the car apart to never put it together again, the energy within the car is still whole because it's still energy. Yes, the car is no longer a car but it's still energy. Being unaware or of an impure consciousness, a consciousness that is not aware of the whole self, is apart of being truly aware, one is not whole without the other. Here we are trying to so desperately reach our higher self when we are already experiencing our higher self, it's just that human consciousness is unable to comprehend this therefore understand this. In saying this, this kind of unawareness, in that a higher stature is always better and more whole, is very much of human perceptions, not of true higher perceptions. To be of a high perception is to also be of a low perception, a perception that is less aware. What I am trying to say is being unaware is just as important to the whole as being aware. It's like saying that yin is less important that yang within a relationship because this is exactly how a lot of us are perceiving, the aware is far more desired therefore more worthy than being unaware. Being truly of pure awareness, as Buddhism states it, is no less important than being of impure awareness, a state of being less aware. In saying that unawareness is just as worthy and important to the whole is fine, but when this unawareness becomes destructive unto itself and everything else, a wise consciousness would, in my mind, consider a different course of action. However, being less wise is also no less worthy or important to the whole as being of pure energy. Something else to also consider, you can't experience a pure state of energy, all you can do is become aware of it. There is simply no motion or form in a state of pure energy, it's the impurity of energy that gives energy motion therefore form. Impurity of energy simply refers to energy flows that interact with each other as separate entities or separate forms of energy. Unawareness simply refers to separated energy flows from our pure energy state. No matter how energy is expressed, it is never truly separate even when in separation; in actuality only within this separation is energy truly whole, as one. This sounds like a strange topic, not unusual for me though except my topics are usually sound; it's that my perceptions and perspectives can seem strange to a lot of people, way outside the square. In actuality this is a very interesting topic, how many of us are aware of the difference between talking at to talking to each other? How aware are we of when being talked at we are not thinking for ourselves, we in-effect take on someone else's awareness and being. How many abused are talked at instead of to, of course to be abused one is always being talked at, or more precisely, talked down to. Look at the abuse in the world, how much of it stems from being talked down to, the leaders of the US, North Korea and Russia are prime examples of this. When you talk down to someone, you are in actuality talking at them, not to them, however, if you are conditioned to being talked at and/or of talking at other people, even if someone is talking to you, you will most often take this as being talked at instead of to. It's wise to be aware of this in my mind. In my mind, for example, leaders like Trump and Hitler talk down to people therefore talk at people instead of to people; this will of course lead to conflict/abuse. I think at this stage I better insert what incited me to write on this topic. When people are talking to each other rather than at each other, what can develop through conversations like this can be quite unexpected an extraordinary. I have never touched on the topic of talking to instead of at before, never gave it much thought or consideration until now. This is the funny bit Paul, people ask us what my wife and I do instead of watching TV, the reaction is like, how could you exist without television, Not only this, we then tell them we talk to each other, the next reaction is what do you talk about. When you have partner you can talk with (to), not at, discussion becomes second nature, too many people are talked at not to. This brings us back to television and most media, it thinks for us, this is very much inline to being talked at rather than to. You and I are talking with (to) each other instead of talking at each other, there is a difference. My wife and I also joke around with each other a lot, a lot of what we talk about is to do with joking with each other, is the media today a joking matter? In relation to discussions, people from India are my favourite. You can be in deep disagreement void of name calling or labelling each other negative or something bad or wrong in some way. I rarely get this from a western mind as everything disagreed on is labelled negative, bad or wrong, this simply is not the case when not talking to each other instead of at each other. The western mind seems to be conditioned to talking at instead of talking to in my mind. We must remember, we are all of the western and eastern mind, yin and yang, it's just we are often conditioned to one or the other which denotes an imbalance. Example, children must be talked at as well as to, this of course depends on the circumstances. In relation to my stepdaughter, we would talk at her and tell her to go to her bedroom when naughty; we would then talk to her when a certain amount of time passed. It's a pleasure talking to someone with an open mind Paul. How do we know when we are being talked at or down to and/or ourselves talking at or down to other people? As I mentioned, when in conversation with most other people from India, we are often talking to each other even in strong disagreement. The reason I know this is simple, there is usually no judgment of a wrong, negative or a bad of some kind, there is also no name calling or any other kind of abuse. This is usually the case when in conversation with a person from India but not always the case, at times the western mind of talking at people takes over. Being that we all have a western and eastern mind, a yin to the yang, talking at people is always there. As I depicted in my reply to Paul above, badly behaving children often need to be talked at, basically showing where the boundaries are, sadly, too often parents don't follow through with talking to the child afterwards. It can become habitual to talk down (at) children, this is very much a conditioned thing. Harmony after all is to do with balance, being conditioned to only talking at people isn't balance or of a balanced mind, being in harmony with children and the rest of our present environment takes balance. Now we get to the awkward part, where confusion between being talked at and being a part of a conversation of being talked at can seem like we are ourselves talking at people. I am often labelled negative by other people even though I don't label people negative or wrong in some way unlike themselves. My writings are also often labelled as talking at people as it's perceived I am telling people something, this is instead of informing people of something. Often, people who label others of talking at people are themselves conditioned to talking at people, it is wise to be aware of this. Also, these people might be quite unaware that they are themselves talking at people; this after all might be what they are conditioned to. Numerous ideologies are used in away to telling people, talking at people, rather than informing people, talking to people. If we become conditioned to this kind of teachings, we will unknowingly express this kind of teachings. We will also accuse or believe that everyone who disagrees with us is also talking at people; this of course may or may not be the case depending of the judgments of negatives and positives, bad and good, wrong and right and so on. This is indeed ironical. I awoke this morning to the understanding of me writing a post about peace and love, being that peace creates a sense of love, not the other way around. Love is simply a natural process of being harmonious. As we quieten the mind, we quieten the disharmony within our mind while at the same time creating a sense of love. Peace/harmony is the key to love. I wrote the following in a discussion relating to the topic of; what is your core element that determines your way of thinking and being. I wrote faith, in that I have faith that human consciousness will go along with the natural evolution and evolve from it's present consciousness. A lot of people said love but one person simply said peace, I wrote the following in response to this. 1: Indeed peace because how would one truly be of love if disharmonious? Harmony naturally and automatically brings us a true sense of love, love simply isn't the be and end all as it is treated today. In the sixties it was peace and love, peace brings love, basically, love is part of the natural process of peace, love is only apart of the process as love derives from peace, not the other way around. This is like today's perception of light which denotes awareness, as of intelligence, what is awareness void of wisdom; the same is with what is love void of a true sense of peace? We are today so focused on light and love when light and love are determined by base factors like wisdom and peace. How many people today are focused simply on wisdom and peace? I think the sixties had it more correct than we do today in western spirituality. 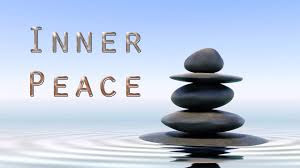 Stating simply peace is perfect, a true sense of spiritual understanding in my mind. 2: Indeed, peace to one person isn't peace to another person. Is a multinational in financial dire-straights at peace? Is a peaceful person at war at peace? Of course we could say here that a multinational at peace financially isn't very loving but he is, he loves his wealth as much as a spiritual person loves another person. Even a true sense of love is ambiguous it would seem. We could say that peace is also ambiguous as the peace and love of a multinational and a spiritual person is different. As a multinational is not at peace with being poor, a spiritual person is not at peace in being materialistic or destructive. 3: Of course, peace simply says it all. I go deep so that others have an opportunity to comprehend and understand a true sense of peace and love. Behind love a true sense of peace/harmony resides. I handle the environment we presently exist in differently, I don't perceive a negative or a positive, it is what it is, as in it just is, void of anything having to be of one thing or another. My wife and I haven't watched TV for over 9 years now, I do miss the docs though, not the news. The news these days is only of what they want us to be aware of. It is obvious I needn't have gone deep with you, sorry for that Paul. As we become more aware, part of the process of becoming aware is disharmony. We are certainly not going to like or feel comfortable with everything we become aware of; this is until we reach the process of being truly harmonious, not just to the things we desire to be of but to everything. Humans are more intelligent and aware of their environment than ever, how harmonious is the world today? You see part of the process of becoming more aware is being disharmonious, however, no true sense of love will reside within a reality that is disharmonious. We then get to a point of process were we only become aware of the things that are harmonious, everything we are disharmonious with are discarded or ignored. You see, when we are harmonious love is able to reside; all we desire at this stage of the process is to be of this love. This is of course quite understandable in regards to our present disharmonious reality. At this stage of the process we are still in disharmony of the things we have rejected or denounced to simply feel some kind of love. At this stage this is not a true sense of love for there is no true sense of harmony, however, we do feel more loving because we are more at harmony. The next part of the process entails us to become wiser with our awareness. As of knowledge or intelligence, awareness void of wisdom is only ever going to be half aware for awareness, as of knowledge and intelligence, needs the guidance of wisdom to know how to use and respond to knowledge, intelligence and awareness. When we talk about anything primordial, we mostly have a perception of an element or an existence that is ancient. Spiritually, the spirit within all things is primordial in nature as this primary element is perceived as the beginning of all things and is within all things. Physically, energy is the primal element within all things, so when we spiritually have a desire or a need to be of a higher self, we in-effect (in reality) desire or need to be of our primordial elemental being, our true being. Scientifically, energy is the primal substance within all things, nothing can exist without energy, however, spiritually, energy is replaced by the spirit within all things, the essential substance or energy flow within all things. In my mind, when we talk about energy and spirit, we are talking about the same thing; they are not separate entities or elements. We are also talking about a primordial elemental state, not a new state but a primordial elemental state. Many of us spiritually in-effect has a desire to go back to this state, a state of pure energy void of separation between energy flows. Before I go on, I think it's important to know what I mean when I say primordial. Primordial; an ancient elemental or primary substance of all things, the essential or basic substance of all things, in other words a primary substance that everything stems from. 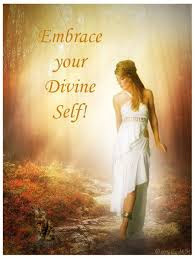 Spiritually, this seen as the spirit within all things or the higher or inner self, the God within. Physically, primordial elements are seen as, for example, carbon, hydrogen and helium, in saying this, a 3rd dimensional sphere is also primordial in nature within time. In actuality, anything of a 3rd dimensional sphere is not primordial when compared to the spirit within all things or energy as a whole when perceived through a time. Time gives the perception of primordial elements and existences, this means the new is of a 3rd dimensional sphere. The perception of anything new is 3rd dimensional and therefore of time. What is so new about going back (regressing), not forward (progressing), to our primordial elemental state? This is the problem with perceiving in time, going back to our original state is perceived as a regression when it's a progression from a state of chaos. Chaos in this instance means energy that is separate to each other therefore energy reacts different to each other. In actuality there is no regression or progression in timelessness, there is also nothing new. The perception of new is simply a 3rd dimensional perception based on time, that something is older or newer than another therefore separate to each other through time. 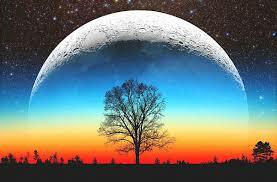 However, there is simply no such separation through the perceptions of timelessness. Timelessness simply means a state where there is no separation of energy flows, spiritually; this means there is only spirit void of the separation brought about by the soul for instance. How does energy become a different elemental substance? Simply through separation, very simular to our soul. You could in this instance say that all energy has a soul; this is probably why many people say that everything is of consciousness. Soul simply refers to an immortal or infinite state of being, not just within humans but everything. The soul also denotes separation or is conducive to the perception of separation of energies or spirits. Considering that you can't destroy energy, only change it, this makes sense. In-effect, you can't separate the spirit within all things, this is simply a perception brought about by time. This also means energy as a whole is inseparable, only through time can energy be perceived as separated. So in time, is energy or the spirit within all things truly separated? Within time, it is obvious that the existence of different energies exist, they are indeed separated, very much like new age to old or middle age spirituality or consciousness, there is on obvious difference. However, the indifference is within energy itself or the spirit within all things, it's all connected by a primordial element within time, it's all of energy or spirit. Yes, within time there is an obvious separation of elements but at the same time there isn't. I am a white person, this is different to a dark person but there is no true separation for we are all human. The perception of separation is simply based on time, a finite factor when we are also of an infinite factor, timelessness, where nothing is separated. This is probably going to sound awfully strange to a lot of people; I simply don't perceive demonic consciousness/entities as negative. The reason for this lies in that demonic entities are of a particular consciousness, very much like human consciousness that has its own reality within a particular dimension. As of always, the awareness and kind of awareness expressed is representative of a dimension in accordance with the kind of consciousness expressed. It's a particular kind of consciousness that creates dimensions, not the other way around. Also, the sun is one of the most violent and destructive forms of energy within the universe, I wouldn't myself perceive that this continuous violence and the eventual total destruction, once the sun reaches the end of its cycle, is demonic or even negative. Yes, the sun also creates a particular life form but so do demonic consciousnesses, albeit suppressive and depressive, it's still a creation. So what are demonic consciousness's doing out of their own dimension, being that they are able to influence human consciousness? We have simply allowed them in and in certain circumstances summoned them to influence human consciousness, in actuality, demonic consciousness have always been apart of human consciousness in one way or another based on how aware we are. Any state of unawareness, based on suppression and depression, will entice demonic consciousness to influence such a consciousness. How many of us are positive thinkers who deliberately ignore demonic consciousness's existence and influence because it's negative? How is the world now fairing that this is occurring? Just because a consciousness is more destructive than our own doesn't make it negative, this would also simply mean the sun is demonic/negative which of course it's not. Like humans, who are like viruses, live off of their host until it's dead, so do demonic consciousness's, the difference is that demonic consciousness isn't as cannibalistic as human are. They don't feed off of each other but off of other forms of consciousness. The multinationals sees themselves as a different consciousness, so they feed off of this consciousness which is deemed as common, however, it's still human consciousness be it common or not. Such action will of course allow demonic consciousness to influence human consciousness even more. I recently read that people who experience near death experiences, (NDE's), and out of body experiences, (OBE'S), are more than ever experiencing demonic consciousness's, this of course would also mean actual death would incur the same experiences. When you consider we are actually becoming less aware on a collective level, it's understandable why these experiences of demonic consciousness are becoming more prevalent. What does positive thinking do? It conditions a consciousness to deliberately ignore anything perceived as negative, on top of this; more of our environment becomes less aware to us which leads to a heightened state of unawareness of our environment. This is of course is in favour of a perceived positive state of existence, a state of absolute ignorance to our present environment. How many positive thinking people critically judge demonic consciousness as being negative? Considering that people like myself, who are quite aware of our present environment to one extent or another, don't even judge demonic consciousness as being negative, who is more negative? The one who judges everything that isn't of a certain desire, as opposed to negatives, or a person who doesn't even judge demonic consciousness negative? There are many teachings that teach to live within the now, the very present. Being that our very present is obviously influenced by demonic consciousnesses, are not these teaching falling on deaf ears? Yes, by all means be positive but truly positive; don't critically judge everything you know little about negative because it's perceived by you as being negative. Every time we judge something negative is a good sign we are ignorant to what we critically judge simply negative. Nothing is simply and absolutely negative, only within a certain perception can this be perceived, usually through a 4th dimensional mind based on 3rd dimensional aspects and perspectives. Human consciousness influenced by demonic consciousness is nothing more than a virus that feeds off of other life forms, unlike most viruses, the human consciousness under demonic influence even feeds upon itself, always has and always will. However, human consciousness that has allowed itself to evolve will in the end react quite differently, in fact to the point of even giving up its own life to protect and preserve other life forms. As demonic consciousness's have always been apart of human consciousness, so has the consciousness that protects and preserves life, all life, and yes, even demonic consciousness. First of all, what we call demonic, within a 3rd dimension while of a 4th dimensional mind, exist or not? The answer is simply yes, while of a 4th dimensional mind while of 3rd dimensional aspects. Even in a 5th dimension is this so because the 5th dimension is the opposite of a dimension where, what we call demonic, entities exist. However, nothing remotely demonic can exist within the 5th dimension, this is because the consciousness involved to be of a 5th dimension is far more aware than demonic consciousnesses. Dimensions: Demonic simply denotes a less aware consciousness, for only can a consciousness express destructive traits while unaware, of course within a 3rd dimension, these destructive traits are often expressed. A good example of this is multinationals who often sacrifice numerous people and the environment for personal gain. This is 3rd/4th dimensional, not 5th dimensional. Within a 3rd dimension, many of us are able to use a 4th dimensional mind to comprehend the existence of energy sources outside of the 3rd dimensional aspects and spheres. This is fine when focus and awareness is on 5th dimensional energy sources such as a God or benevolent spirits, however, when we also become aware of energy sources that are highly destructive in nature is when we bring forth an awareness of the demonic. Again, within a 5th dimension demonic energy sources can't exist but the awareness of their existence is still present, this however changes when we go beyond 5th dimensional consciousness. 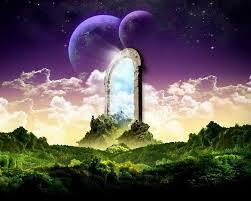 You could look at 3rd dimensions being a portal to other dimensions, a portal to aware and unaware consciousnesses. It's actually a consciousness that depicts a particular dimension, in other words it's consciousness that creates a particular dimension, not a dimension that creates a consciousness. Dimensions simply denote a type of consciousness expressed depending on how aware a consciousness is. Consciousness: Yes, we are talking about different denominations here, therefore separation, but the common denominating factor is consciousness. Within this denomination is where all consciousness is as one no matter how unaware a consciousness is. Even a 5th dimensional consciousness separates one consciousness from another, in saying this, 5th dimensional consciousness is also aware that all consciousness's are of the same source. Where some of us might, within a 3rd dimension, presume or perceive this through a 3rd dimensional consciousness, all 5th dimensional consciousness is aware of this without any doubt what so ever. Demonic consciousness's don't reside or exist within a lower dimension as 1st or 2nd dimension, they can exist within any dimension that is not of a high degree of awareness. Demonic consciousness's or energy sources don't need a 3rd dimensional aspect to express themselves either, in other words express themselves physically. All this consciousness needs to be able to express itself through is a consciousness that is unaware. Could multinationals use us as sacrifices if we were truly aware? Could a common criminal do the same? It's not the levels between 1 and 12 that define a dimension, it's the awareness of a consciousness that defines a dimension. Demonic consciousness's love 3rd dimensions, they are within these dimensions able to express themselves freely, not only this, they are also able to express themselves more assertively aggressively. In saying this, demonic consciousness needs a physical source within a 3rd dimension to be able to express themselves as freely as they do, they are unable to express themselves without this physical source within a 3rd dimension. Within other dimensions not governed by 3rd dimensional aspects and spheres, demonic consciousness is at will able to express themselves. Imagine a highly destructive force not limited by certain limitations, I suppose this is what many people have labelled hell. Within a 3rd dimension, demonic consciousness is limited within it's expressions but so are we. Possession: It's not the physical mind or body of a person that is possessed by a demonic consciousness, it's the consciousness, this is also the case for any physical objects. Every physical object has a consciousness attached to it, at times a physical object can have a consciousness attached to an object that is traumatised or possessed through a ritualistic practice, a consciousness in any case. Only through consciousness is demonic consciousness able to control anything physical. Now, beyond 5th dimensional consciousness is when demonic consciousness no longer has any significants. It's not that this kind of consciousness doesn't exist, it's just this kind of consciousness has no bearing or influence on such an aware consciousness, in effect demonic consciousness becomes insignificant in the whole scheme of existence. Demonic consciousness, in a 4th dimensional way, actually becomes a joke, a joke onto itself, however they certainly don't like being looked at as a joke but that is the way it is beyond a 5th dimensional consciousness. A good example of this is 5th dimensional consciousness within a 3rd dimension is always fighting off and with demonic consciousness's, there is simply no such contest or conflict with a more aware consciousness. 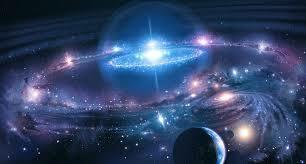 One more thing to consider, Earth is a living breathing entity, as of everything within existence, of a consciousness. Slowly torturing this entity to death by another consciousness would seem to be demonic would it not? In saying this, everything demonic is like a grain of sand on a beach, it's this insignificant in the whole scheme of existence, only within 3rd dimensions can such a consciousness seem huge and hugely influential. 3rd dimensions certainly give us an exasperated view of everything; demonic consciousness is indeed subjective within a 3rd dimension as of everything. In recent times, certain dream interpretations of mine have been referring that I am reluctant to change my present way of existing, I am reluctant to break old associations which is retarding my progress. To break old associations often takes one to change one's own present environment, being that associations often pertain to a particular environment. A good example of this is environments conducive to materialism; often this kind of environment is conducive to materialistic people/associations. This is the same with 3rd dimensions, 3rd dimensions are conducive to certain ways of thinking and perceiving creating a limited consciousness, a consciousness limited to 3rd dimensional aspects. 3rd dimensionally, I have in recent times made some huge environmental changes, in turn changing who I am associating with. Association isn't just pertaining to people, it's probably more pertaining to a particular environment, giving that environments are conducive to certain associations with people. You also associate just as much, if not more, with a particular environment as you do with the people of an environment. Disregarding other people and other simular biological forms to ourselves, how often do we feel comfortable or uncomfortable within a particular environment? Your association isn't just with other simular biological forms; it's also with the environment you are presently experiencing as a whole. We also often 3rd dimensionally associate association with other forms on a 3rd dimensional level, in turn disregarding our association outside of a 3rd dimensional aspect. Giving that we are predominantly influenced by a 3rd dimension, and that we are often, from birth, conditioned to 3rd dimensional aspects, it is quite understandable why we often perceive in this kind of limited fashion. Now, my dream interpretations refer to me being reluctant to break old associations which are retarding my progress. 3rd dimensionally looking at this, in other words looking at this through a 3rd dimensional conditioned mind, we would perceive that I need to change my environment even more, probably to an environment not predominantly influenced by a 3rd dimensional aspects and perceptions. I look at it this way. Experiencing my present environment, which is 3rd dimensional, is a change from my natural state which seem to be beyond 3rd dimensional aspects and perceptions. However, my 3rd dimensional mind sees my change to a 3rd dimension from my natural state as retarding my progress. Having no desire or need to change from my present 3rd dimensional environment, is seen by my 3rd dimensional mind as a retardation. Only within a 3rd dimension can progression be perceived as everything within a 3rd dimension is measured/judged. Outside a third dimensional aspect, there are no levels because there is nothing to measure as one against the other; everything is perceived as connected and as one no matter how it's expressed, there is simply nothing to progress to. What higher vibrational ego wants to be associated with judged lower vibrational levels within a 3rd dimension? Because the 3rd dimension is based on up and down, back and forth, right and left, in other words measurements based on time aspects, we perceive in levels which is 3rd and 4th dimensional. The 3rd dimensional mind will now see these dimensions as levels therefore depict and perceive that people like me are speaking of levels. The 3rd dimensional mind sees these levels as being higher or lower than the others, this is why we often make the huge mistake in stating that we are entering or are of a higher vibration or level of existence. It's a mistake to think like this because this perception of levels is 3rd/4th dimensional. It's also 4th dimensional because we are now perceiving there is a higher self, a higher consciousness other than a 3rd dimensional consciousness. In a sense many of us have always perceived like this showing that this reality was never just of 3rd dimensional aspect but a 4th. In saying this, it is obvious that we were dominated and conditioned to 3rd dimensional aspects and perceptions. Let's hypothetically say there are twelve dimensions from one to twelve, 3rd and 4th dimensionally we perceive these different conscious existences as levels while within a 3rd/4th dimension. Outside of 3rd/4th dimension there is no perception of levels, only a different conscious experience that is connected to all other conscious experiences, all other existences. There simply is no separation therefore no levels between these consciousnesses, these levels of existences, only a perception of levels while experiencing a 3rd/4th dimension. As of a lot of what I write, this is going to be very difficult for our 3rd/4th dimensional mind to understand and probably even comprehend. Be patient and understanding of our 3rd/4th dimensional mind, it has a lot of conditioning to overcome to evolve, and yes, we all within a 3rd/4th dimension have a 3rd dimensional mind to deal with. For further studies/reading on this subject, I think the following is a good read, I ironically came across the following while writing this post. Yes, I am still alive, it's been very quiet for me on all fronts except for my dreams. I seem to dream all night, I am far more active in my dreams by far. A lot of my dreams are of motion void of form, in actuality, there is presently a lot of movement in energy void of form within my dreams. We often relate motion to form as all form relies on motion to exist. The reason for this perception is due to ourselves being conditioned to only relate motion to form, in actuality I find that there is more motion void of form than there is motion of form in the whole of existence. Form is simply an abstract notion or impression of the expressions of formless energies, in other words form owes it's existence to formless energy flows, not the other way around. Everything that man creates is created through form or is expressed through form, a 3rd dimensional aspect. To comprehend the existence, we put everything within a 3D aspect, within this, conditioning ourselves to believe that all motion is of some kind of form, even vibrations become form. As soon as we measure or evaluate anything, we have put it into a 3D aspect, this is simply done this way so our 3rd dimensional mind can comprehend the existence of these motions. Of course if it can't be measured or evaluated, it simply can't exist to the 3rd dimensional mind. For man to create anything, the mind thinks in 3D, so everything that man creates has a 3rd dimensional aspect to it, all motion simply becomes some kind of form. This is quite natural and normal for a 3rd dimensional mind to perceive like this. It's seems laughable to suggest that the majority of motion has no form, but only to a mind that can only perceive in 3rd dimensional aspects. As soon as our mind goes outside 3D aspects, the existence of form becomes like a grain of sand on a beach. Indeed, 3rd dimensional aspects seem insignificant. The expression of motion through form is indeed this insignificant in the whole scheme of existence, however, like each individual grain of sand on a beach is significant to the existence of a beach, form, 3rd dimensional aspects and perceptions, are also significant to the whole scheme of existence!! It would seem, since the dawn of man as a human consciousness/race, we have made a connection to the infinite. The belief in a divine consciousness or the belief in eternal cycles of life is but two of these, so it would certainly seem that we have always made this connection to an infinite existence or being in one sense or another. In modem times, the division between perceiving infinitely and finitely is apparent, even in modern day science this is apparent between different forms of science, for example, quantum physic concepts are not based on absolutes where in a lot of other sciences there are concepts of absolutes. We are human, this is a fact, so we don't look beyond the human concept. It's like Newtonians didn't accept that Newtonian concepts and principles were limited, the same with Einstein concepts and principles. Albert Einstein's concepts and principles/theories were taken as an absolute, within this perception, there was no room for evolving therefore these kinds of perceptions are limited to certain concepts and principles. A lot of modern day consciousness is restricted to certain limitations or dogmatic concepts and principles, there are barriers that can't ever be crossed or even questioned. Of course the only reason barriers exist is because we have created them or they have been created in accordance to the perceptions used. If we perceive there are barriers therefore limitations to our conscious existence, we will ourselves create a reality based on these limitations. Of course to do this, a consciousness has to ignore the infinite in preference to the finite. Finite consciousness is purely based on time, time being the creator of starting and ending points thus creating realities based on limitations rather than realities based on unlimited potentiality. Of course to balance out these kinds of perceptions, we kept our perceptions of the existence of the infinite, perceptions that are not limited but unlimited. We might then think that time itself is finite in nature when in actuality time is infinite in nature, it's only what is created in time that is finite. Time itself is actually governed by infinite projections, for time has no limitations in how time is perceived or how long time will exist for. The simple reason for this is that time wasn't created, in that the creation of time has no starting or ending point, only of created perceived starting and ending points. For an example of this, there is an end to our nights and days on Earth, however, when you go out into space, there is only daylight, this of course is governed by how long a sun lasts. In saying this, the energy used to create the energy of the sun is endless because, like time, energy has no starting point within itself, only what energy creates. To perceive this one must simply look at time as being energy, not what this energy creates. An energy that is not limited to certain concepts and principles, time is therefore based on the infinite, not on what the finite creates. We too often only look at what time creates, not on what time is really based on, in actuality, everything is based on the infinite for energy itself is infinite in nature. Let's now look at how differently finite and infinite consciousness looks at reincarnation for example, the belief in past lives which has been scientifically proven to exist. The finite consciousness looks at each life as a separate life to other lives lived, each life having a starting or ending point of it's own. The infinite consciousness doesn't look at it this way, it looks at reincarnation as being one life or existence separated by different scenarios. There is no starting or ending point, only an expression of different energies usually separated by our inability to remember our past lives. If we could remember our past lives and our lives between these lives, we would see ourselves as experiencing one life or existence that has no limitations or starting and ending points. We are simply conditioned to perceive in starting and ending points therefore being of a conscious based on the finite, an existence of limitations therefore barriers, in turn, creating existences purely based on the finite rather than the infinite. Considering that everything in existence is based and created from the infinite, I find basing a reality purely on the finite peculiar, it's simply unnatural, in saying this, we must also remember being limited like this is also apart of being unlimited. Are we really unlimited being limited to the unlimited? Being limited is also apart of being unlimited, think on this, how unlimited are the expressions and motions of being limited? The expressions of being limited is infinite, there is no end to these limited expressions and motions. We exist in a finite limited reality, how many possibilities can be expressed in such a reality? What if the Roman Empire never existed or Adolf Hitler never came to power, the possibilities of different realities being created within a limited reality are endless, all of existence is simply infinite in nature. Infinite also pertains to oneness, being that everything is connected, where's finite simply pertains to separation or division of this oneness, of the infinite. 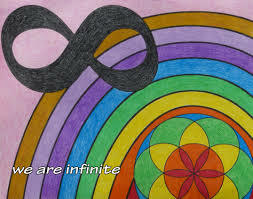 The finite is simply a divided infinite, this is why the finite can only exist within time. Considering how time is divided into seconds, minutes, hours, days, months, years, decades, centuries and so on, it's quite understandable why finite can only exist within the perception of time. Take away how time divides the infinite into numerous and infinite divisions, like with measurements which are infinite, you take away the perception of the finite, all you are then left with is the infinite. The finite is simply a perception because it can only represent part of the whole at any given time; the whole of course is represented by the infinite. To me, it's not a natural state if we exist within a finite reality while excluding the infinite. Giving that energy itself is infinite in nature, I find this most peculiar. We simply can't exist without the infinite, if we try to do this in my mind, we will simply destroy ourselves; destroy the form and creation of an infinite energy. We are simply going against the natural laws by excluding the infinite in our existence, not a very wise or intelligent thing to do in my mind. Dark is simply an existence of the absence of light as light is simply an existence of the absence of dark, both very different existences have their own vibrational signature, meaning, both existences are based on completely different vibrational frequencies. If I, for example, was to go into the dark from the light, this dark existence would, within myself, feel unpleasant or overwhelming and visa-versa. However, if I was to go into these existences from a natural existence where light and dark exists and is in unison to each other, there would be no unpleasant or overwhelming feelings. When your own vibrational signature is based on both, in this case, or all other vibrational signatures, meaning that your own vibrational signature is of all other vibrational signatures but harmoniously, other existences based on a certain vibrational signature have no influence or affect on you. If you were to now relate this state to a state of oneness, you wouldn't be wrong or incorrect in my mind. 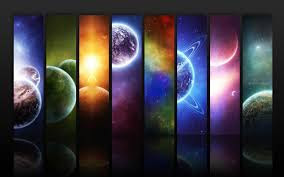 Also, just because a vibrational signature is of all other vibrational signatures, doesn't mean we are of and expressive of these vibrations, it simply means we are of a vibrational signature that incorporates all other vibrational signatures harmoniously. A true state of oneness is naturally harmonious to all other vibrational signatures and their existences that these vibrational signatures create. The reason for this simply lays in that a neutral vibrational signature is of all other vibrational signatures, there is no separation, only oneness. Only the separation of one vibrational signature to all other vibrational signatures will cause disharmony, this is why a state of true oneness is naturally harmonious. So when we also become of the dark or the light, we don't become of or expressive of the dark or the light because one negates or neutralises the other, in turn creating a natural state of existence. This neutralisation naturally and automatically creates a vibrational signature that is truly harmonious and at one with all of what is. Only within this oneness state can a true awareness and creation of unconditional love exist. How many people, while being within and of their own separate vibrational signature, think they are truly aware and expressive of unconditional love? This is while being void of any true state of oneness, usually in total separation from vibrational signatures of the dark. Take these people away from their own vibrational signatures, they are no longer of unconditional love, in actuality they never were because they could only feel unconditional love while under certain conditions. Say if I was of a true oneness state, which simply means of a particular vibrational signature that is based on all other vibrational signatures. If I was to go outside this state, would this not also mean my own unconditional love has conditions of me staying within this particular vibrational signature? No, once truly of this oneness state, you are of everything already, there is simply nowhere else to go or no other vibrational signature in existences that isn't already a part of you. Think on this, conditions refer to limitations; dark is limited by the absence of light as light is limited by the absence of dark but a true state of oneness has no such limitations. The reason for this lays in that a true state of oneness has it's own vibrational signature but a signature that isn't separate to all other signatures!! Something else to think about. If I was of the light or dark, good or bad, yin or yang, this doesn't mean I am not also of both worlds, both vibrational signatures. Yang for example has yin within it as yin has yang within it, at no time is one totally without the other, however, one can be predominantly of one or the other thus giving us a false pretence of being without the other. The illusion is that we believe we are not of all things, only of something's, this is the illusion which has it's own vibrational signature. From this vibrational signature is where realities like our own reality were created. All creations are naturally finite in nature, they are limited by certain boundaries, for example, the conditioning to certain perceptions is a boundary we often find ourselves attached to. In saying this, everything that isn't created is infinite in nature because it has no limitations as there are no boundaries. Look around you, what is infinite in nature? Energy is infinite in nature to start with, yes, what energy creates can be destroyed but energy itself can't be, energy can only be transformed. If we simply thought ourselves as being pure energy without form, we would instantly and quite naturally find ourselves within a oneness state. You could say from within this vibrational signature is where everything was created from, it's a point of origin as this point is infinite in nature, it's the origin of all creation. Once form is perceived is when a vibrational signature is created that isn't infinite in nature, this is because all form is finite in nature and quite naturally so. Look at it this way, all what has been created is finite in nature and is fragmented. All that isn't created is infinite in nature and is a true state of oneness. 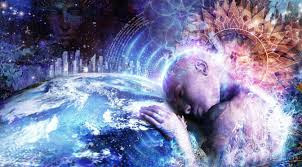 Any consciousness based on the finite will say this is separation, however, any consciousness based on the infinite only sees a connection, the connection being that a oneness state is of all states. Vibrational signatures simply exist in accordance with the frequencies we express and are of, basically, the kind of frequencies we are created from. A good example of this is growing up poor to growing up rich; the frequencies that create these two vibrational signatures are quite different and are perceived as being quite separate to each other. This is a prime example of a reality based on a finite consciousness. A reality based on an infinite consciousness has no separation between what is poor and what is rich; this is due to the frequencies used to create a vibrational signature. 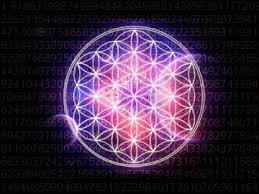 The frequencies used have no sense of separation between rich and poor, only a sense of connectedness therefore oneness. It's important to firstly define what humans define as being of divinity and what actually is of divinity. The human definition of divinity is as follow, "Any supernatural being worshipped as controlling some part of the world or some aspect of life or who is the personification of a force." Seen as there is no need or desire to change anything through control in a true state of divinity, to me, this very human definition of divinity isn't correct within it's entirety. In a true state of divinity, there is simply no supernatural energy source or force because everything is as one; this however changes for any other state outside of this state of divinity that will, quite naturally, perceive states of divinity as supernatural and controlling. All this means is, any consciousness that has to take control of anything in any sense is not a true depiction of a state of divinity, there is simply no need or desire of taking control in this state. We are simply conditioned to believe there are supernatural forces, and that taking control of ourselves and the environment around us is supernatural or spiritually connected, a state beyond the human state of consciousness. Only when we start to perceive beyond human perception of divinity, will we truly be of this state in one sense or another in my mind. Yes, it's quite natural for any consciousness that perceives itself as being of a lesser value or worthiness, to have the perception of supernatural forces or sources above all other forces or sources. There is simply no above or below in this state of divinity, even vibrations have no definitive differentiations, as within this state of divinity there is no subjective definitive conjecturing through participation, only objective observations. Yes, someone who is empathic, for example, will of course feel a difference within their environment; this is very human as it's very human not to feel like this about our environment, this is simply being human. There is nothing wrong with being human by the way; being human is simply but another way to exist, this is all. Within this human state as an empath, the vibrations we feel as being out of tune or discordant with our own vibrations is real, this is simply to do with how we are conditioned to perceive therefore feel. Our own perceptions have everything to do with how we feel or what kind of vibrations we are sensitive to. As we become more of this state of divinity, part of the process is feeling these vibrations in the way we do around us. These vibrations will feel discordant with our own, however, as we become more of this state of true divinity, these feelings simply just fade away. In actuality, within this state you are able to enter into any other state without being affected of influenced by these states. This means you will not feel bad or even good vibrations as their are no subjective definitive conjecturing through participation, only objective observations. 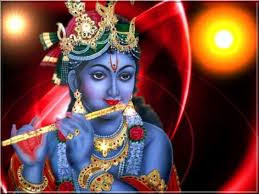 Now, while in this state of divinity, isn't it deliberate self-deception not feel these very real discordant vibrations within other state of existence? Subjective means, "Taking place within the mind and modified by individual bias". There is simply no bias within this state of divinity to begin with, there is also nothing definitive as there are no limitations. Because there is no bias, there is also no conjecturing for to conjecture is to perceive through suppositions, a state of supposing to a state of guessing while in a state outside a state of divinity. There is simply no state of suppositions within a state of divinity as everything is as one. Within this state, you became more of an observer rather than a participator, this of course doesn't mean you can't try to influence your environment you are existing in, in actuality, this is exactly what you are meant to do in my mind. Once you get past the process of subjective definitive conjecturing through participation, only then will you stop feeling or not feeling bad or good, negative or positive vibrations, empath or not. Simply recondition your mind from judging or even observing what is or isn't bad or good, negative or positive, it is really this simple. It's true, every other state, outside this state of divinity, perceives and feels completely different about there environment they are experiencing than in a state of divinity. To a consciousness that is conditioned to perceive in separatist way, comprehending and understanding this state of divinity will be hard to do, this is simply to do with perceiving in separatist ways as good and bad, negative and positive while being subjective and definitive in our conjecturing through participation. Ah, one more thing, this is very important, there is no such thing as a supernatural force, source or phenomena within a state of divinity as everything is indeed observed and perceived as one. By the way, as of anything I write, there is no plagiarising as has been suggested, unless I use material from another source, in this case I always make reference to the source of material used in my posts.